Famous for spring cycling, the Loire’s softly-rolling landscape inspired the impassioned creation of 42 fanciful castles. Instead of repelling an enemy, the famous châteaux of the Loire were designed to capture a lover’s heart. A patchwork of fields, vineyards, and forests — decorated with charming villages and legendary Châteaux. A cycling paradise sewn together by gentle paved lanes and meandering country roads. Getting to the Loire Cycling Cruise – Many will want to arrive via Paris, where our group hotel offers non-stop shuttles from Paris’ CDG airport that can accommodate all sizes of boxed bikes (but if you don’t want to bring your own bike, rental bikes and e-bikes are readily available). After one to four nights in Paris, our optional Paris PreTour includes an embark-morning transfer which will reach the ship via tours of two of the most famous Châteaux of the upper Loire Valley. Full details of our PreTour options will be provided a year prior to our departure. Day 1 – Those who wish to skip the PreTour will want to fly into Nantes/NTE (3rd largest airport in western France) in time for our included afternoon shuttle to embark. Before dinner there will be ample time to freshen up, and to build and test your bikes (or accept a rental bike). After we’re all seated in her Panoramic Dining Room the Loire Princesse will circle Nantes’ Island and depart the city through a veritable canyon of flood-lit buildings and monuments. Day 2 – Wake up in the village of Ancenis, where our ship docks at the base of a medieval castle. A choice of morning rides end at the village of Ingrandes, where we’ll reboard the Loire Princesse for lunch. Those who skip the afternoon ride will enjoy a cruise to the overnight tie-up at the center of Chalonnes-sur-Loire, where you’ll have time to explore the village and ramparts before dinner. On this and following days our shortest morning ride will average a bit less than 25 miles. Longer options and afternoon rides allow daily totals of 50 or more miles. Perfect for spring cycling, the Loire Valley doesn’t have any steep climbs or long ascents. 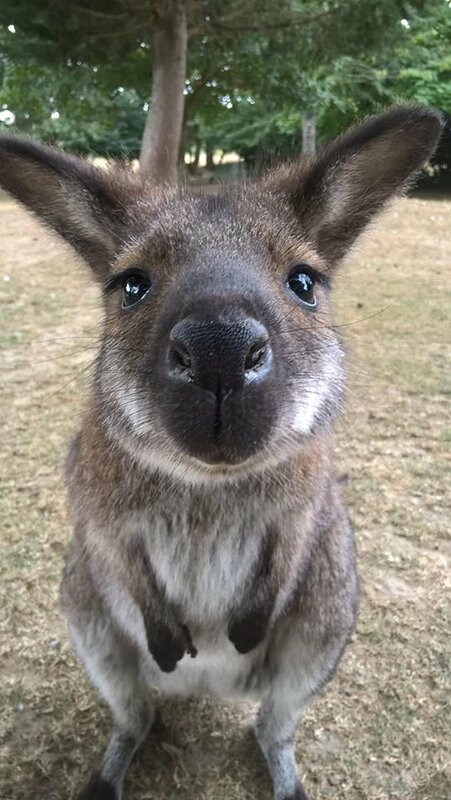 Day 3 – On the way to a guided tour at the top-rated Château Serrant, our morning ride stops for coffee at “Le Jardin Des Kangourous,” where over 300 cuddly wallabies roam freely, and will pose for shared selfies. Following an onboard lunch at the edge of the historic small city of Angers, it’s a short afternoon ride to the top-rated Château Angers. On any morning or afternoon you don’t care to pedal, hop-aboard our panoramic-window touring bus that takes non-riders to the featured stops enjoyed by cyclists. No matter how you arrive, Angers is a great town to explore on foot. Day 4 – Although the ship can’t climb through the rapids above Angers, our morning ride continues upriver to Brissac, and our third tour of a château that merits Michelin’s top rating. Instead of returning to the ship for lunch, afternoon riders will build their appetite with a loop through a dense forest, and find a light snack at one of the charming villages before returning to the ship in Bouchemaine. Tonight’s dining option is a gourmet experience in a Michelin starred restaurant. Day 5 – This morning we ride the length of the Loire’s longest island before finding the ship downriver where it has stopped to serve us lunch. Your after-lunch choice is either cycling the tranquil roadways of La Thau River valley or remaining aboard for the cruise to Ancenis. Tonight’s panoramic dinner is served while the ship cruises the most picturesque portion of the Loire. Day 6 – This morning we wake up in Nantes and exit town by cycling across the “Island of Machines,” an homage to the inventive minds of Leonardo da Vinci & Jules Verne. After a morning croissant stop in the riverside village of le Pellerin, we’ll cycle the paved lane tracing the Canal de la Martiniere. In Paimboeuf the Loire Princess will be waiting to serve us lunch. The afternoon ride (or cruise) ends at the Atlantic Ocean harbor of Saint Nazaire, where WWII history includes German submarines and British commando raids. This afternoon you’ll receive tickets to 3 entertaining museums—all are a short stroll from the Loire Princesse. Two are housed in the harbor’s massive U-boat pen, a fascinating remnant of Germany’s WWII occupation. One of the fortified bunkers contains a preserved submarine to explore. Day 7 – Leaving the ship behind in Saint Nazaire, we’ll cycle West through a 150 square mile wildlife park. Stronger riders will put in the extra miles to pass the stunningly picturesque Château Bretesche. Routes converge at the Atlantic’s salt marshes of Guérande, where we’ll stop at the interpretive center to learn how today’s “paludiers” use thousand-year-old tools and methods to reap the annual salt harvest. Our return route to the ship passes through the seaside resort villages of France’s Cote d’Amour. Back in Saint Nazaire you’ll be able to repack your bikes or visit a museum you may have missed yesterday. Sailing at sunset, the panoramic dining room will host a memorable farewell dinner. Day 8 – On Disembark Day in Nantes, we’ll say farewell to the Loire Princesse. Our earliest included shuttles to Nantes’ NTE airport will arrive in time for the earliest departure. If you’d like to visit another destination in Europe, Nantes’ airport is a low cost hub. For the past five years Santana has chartered various river and ocean ships from CroisiEurope, a family-owned company based in France. Since day one we’ve attempted to charter their most exclusive ship. Exclusive? Because of the Loire’s heritage, landscape and castles, the French prohibited industrialization, dams, locks and channelization. Long segments of this wide and untamed river are barely three feet deep — far too shallow for a classic river cruise ship. On Valentines Week of 2014 CroisiEurope announced the construction of the Loire Princesse—the first-ever cruise ship for Europe’s most romantic river. Designed with the help of a French University and avante-garde constructeur, the Loire Princesse is uniquely wide, and only two stories high. Instead of vulnerable props below a pointed keel, the Loire Princesse’s side wheel propulsion sits above and beside the ship’s flat bottom. Unlike other river cruisers, the roomier Loire Princesse draws less than 30 inches of water. Last month, after turning us away for years, Croisi finally agreed to a charter of the Loire Princesse, the only cruise option for Europe’s most romantic river. As on most modern cruise ships, two full-width twin beds convert to a king-width double. With most staterooms the beds face the window. If you choose one of the slightly smaller economy staterooms, however, the beds are turned 90-degrees and there’s not quite enough room to spread them apart. All of the upper deck staterooms have a walk-out balcony with a small table and two chairs. All staterooms are soundproofed. Those who book earliest obtain the staterooms farthest away from the centrally located paddle wheels. On our scouting cruise Jan and I had a lower deck stateroom nearest the paddlewheel, and were not bothered by the slight vibration and sleep-inducing white noise. Because Jan likes to be able to open a window, for our charter she’s staked-out an upper-deck room closest to the ship’s paddlewheel. With one less deck than most ships we’ve chartered, this very special charter will have a third fewer rooms (48 vs. ~72). The ship’s upper deck lounge and lower deck dining areas are wider and more spacious than on other river cruise ships, and will have ample seating for all of us. The sun-deck is huge, and our bike parking and service areas will take up less than half the area. A: April 27 to May 4, 2020. 8-Days/7-Nights. A: The 2020 dates for our Loire River Cycling Cruise align with spring blossoms and early season fitness. Why not wait until summer? By mid-June the Loire’s water levels are too low for the Loire Princesse to access all of the ports we’ll use to start and end our incredible week of cycling. A: Due to the current strength of the dollar our Valentine’s pricing for this 8-day cycling cruise starts at $3,999 per-person. Booking early is easy and RISK FREE. Our reservations page shows pricing of available staterooms. A: Jan and I don’t accept tips. A comprehensive “cruise extras” fee of $375 per person includes a long list of port fees, off-ship activities, admissions, interpretive guides, sight fees, and ride support (gps route files, morning shuttles to give casual riders a head start, and an SOS van driven by a pro mechanic). Note that this is less than the average cruise passenger pays for week of “deluxe excursions.” Shipboard gratuities of $140 per person includes wash & fold laundry and valet bike handling. A: The efficiently-scaled Loire Princesse has 48 double occupancy staterooms in four categories (sorry, no singles or triples). Launched in 2015, all rooms in all categories feature exterior view and private bath. The Loire Princesse has large public areas and lots of deck space. All of the upper deck staterooms have a walk-out balcony with a small table and two chairs. As on most modern cruise ships, two full-width twin beds convert to a king-width. With most staterooms the beds face the window. If you choose one of the slightly smaller economy staterooms, however, the beds are turned 90-degrees and cannot be spread apart. A: In addition to our daily pair of zero-mile options (cruising on the ship or grabbing a seat on our Panoramic-Window coach), every day has multiple cycling routes. Anyone who can ride 25 flat miles will be able to enjoy all six days of cycling. If you prefer hills or want to ride up to 60 miles a day, we’ve got you covered. At each morning’s breakfast you’ll get a map charting the day’s cycling routes and recommended stops. During a brief route talk you’ll hear about each route’s grades and difficulty. Santana’s vets have learned to love and rely on their handlebar-mounted gps unit. Costing as little as $200, these touch-screen marvels prevent the age-old problem of getting lost or riding unplanned miles. Santana supplies free electronic mapping and route files. Simply select the route and follow the highlighted map. Q: Does the Loire Princesse have free WiFi? * $1,000 Early-In Discount has already been applied to these fares. Our comprehensive “cruise extras” fee of $375 per person covers a long list of off-ship activities, port-fees, admissions, and guides. Crew Gratuities of $140 per person will be collected at the event.